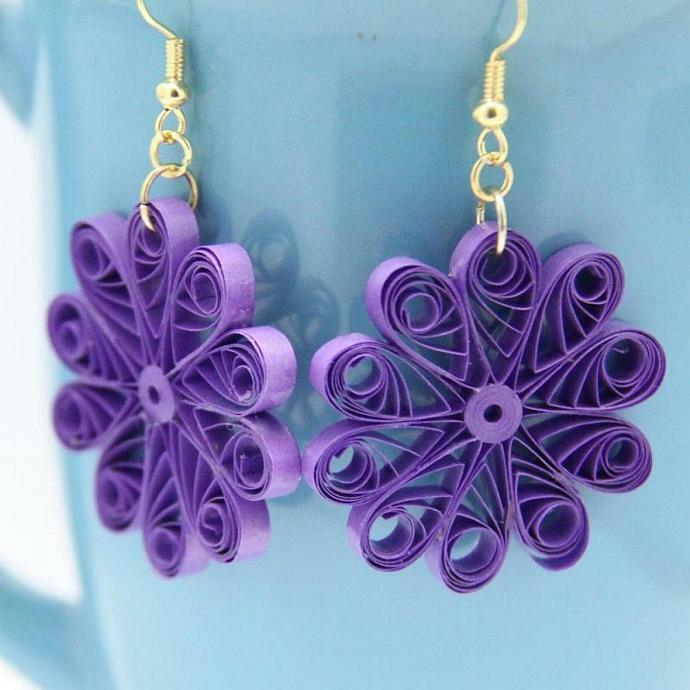 These modish gerber daisy flower dangle earrings are eco friendly and handcrafted by the art of paper quilling. 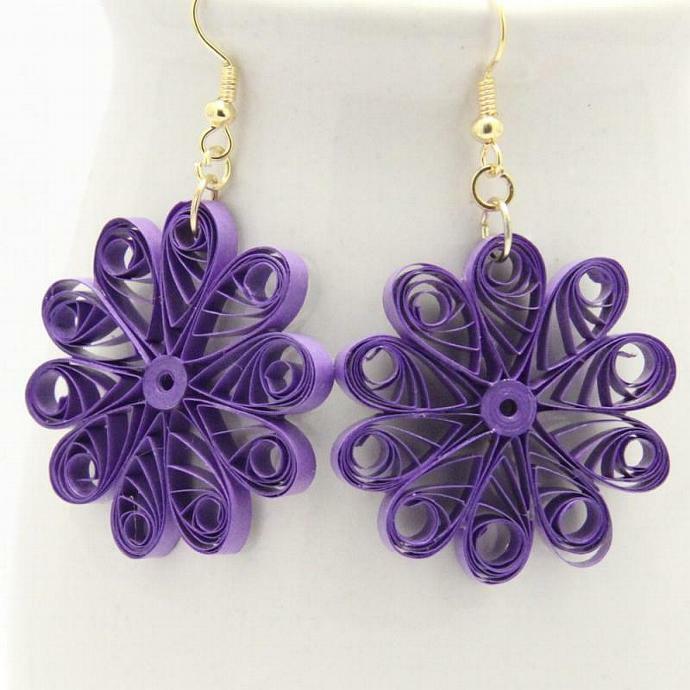 The open and airy design is perfect for spring and summer fashion! 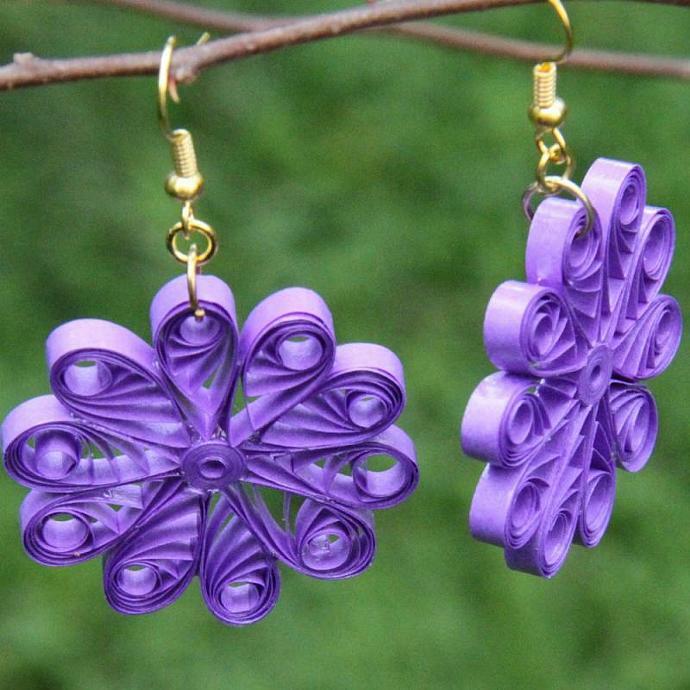 I used specialty quilling paper in a pretty purple shade to roll and shape this design. They are finished with niobium findings. Why niobium? It is a pure metal that is as hypoallergenic as pure gold, and non tarnish! I love them! You can choose silver or gold colored niobium findings. The photos show gold plates findings. Yours will have high quality niobium instead. Note, the photos are of a previously sold pair. 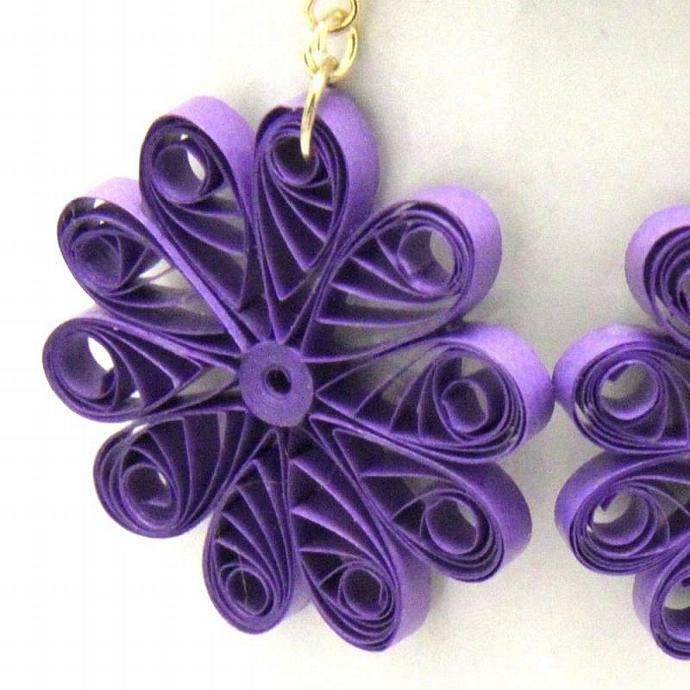 the instock pair is the same design and color, but may have very slight differences since they are handcrafted. They are gorgeous! 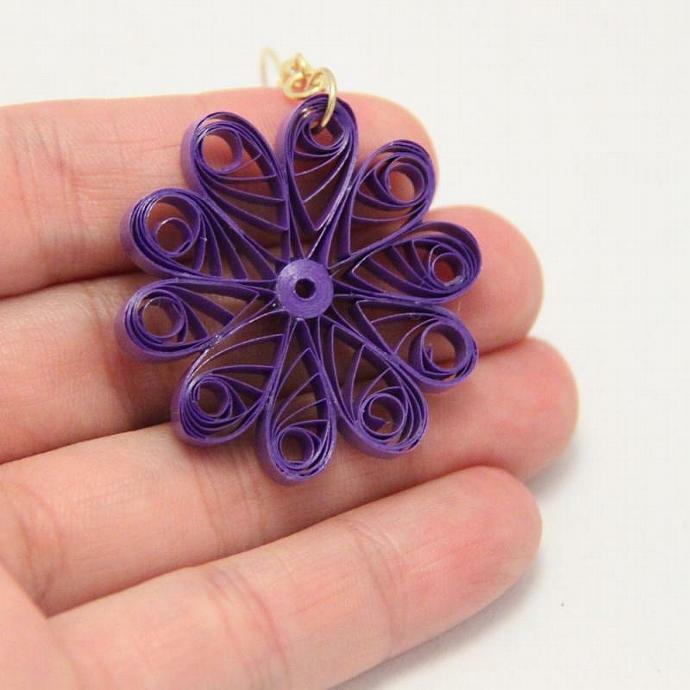 Each flower measures 1 1/4" (3.2cm) in diameter. They are carefully hand varnished in several layers for a sturdy and water resistant finish.